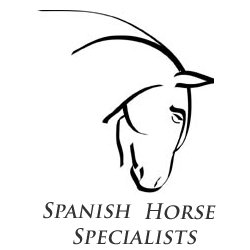 Spanish Horse Specialists: Habanero Sold - Huge Congratulations! Habanero Sold - Huge Congratulations! Huge congratulations to Madeleine, USA, the lucky new owner of Habanero, one of the top black dressage andalusians in the World. We wish you all the very best of fun and success together.